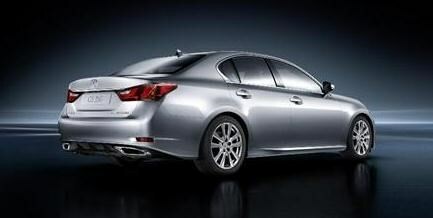 Lexus has released details of its latest iteration of its 5-Series and E-Class rival, the GS. The luxury wing of Toyota's empire states that the new car will major on style and sophistication yet will also be a more focused drivers' machine. The car's exterior has been totally revamped with revised lines aimed at bringing the big saloon right up-to-date. To add to its modern appearance it also gets daytime running lights and LED tail lamps. Handling should be sharper too. A wider track mated to revised suspension components means that the car is more sure-footed, according to the Japanese firm. Lexus will be building both hybrid and F-Sport versions, with the UK initially getting the GS 450h hybrid and the GS 250 petrol version, while a diesel version will most likely be available later in 2013. More details will be announced soon. 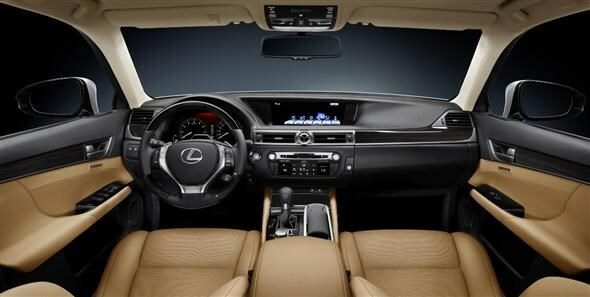 As is the norm with modern Lexus offerings, the interior has been given rather a lot of attention. There's more space both in the front and the rear of the car and luggage capacity has also increased by 25%. Standard equipment will include an intelligent climate control system which only operates in the areas people are sat, the next generation of "Remote Touch" interface to control audio, climate, navigation and phone controls, and a reversing camera. The materials in the cabin will be of a suitably high quality too. You'll have the choice of three types of wood, and you'll even get a clock carved from a metal ingot. Safety systems have always been an integral part of the Lexus design ethos. The new GS will get 10 airbags, whiplash-reducing front seats and a radar-operated anti-collision system that, as well as monitoring the driver's eyes, warns of - and brakes for - hard objects you're about to hit. Other safety equipment that will be available includes night vision, a head-up display, blind-spot detection, active lane keeping assist (which helps keep you on the straight and narrow on motorways) and lane departure warning (which alerts you if you if you drift out of your lane). The sound system is set to be pretty impressive too. You'll get 5.1 surround sound and an eight-inch screen as standard, but you can upgrade to a powerful 17-speaker stereo system with a gargantuan 12.3-inch screen if you want the ultimate in in-car entertainment. 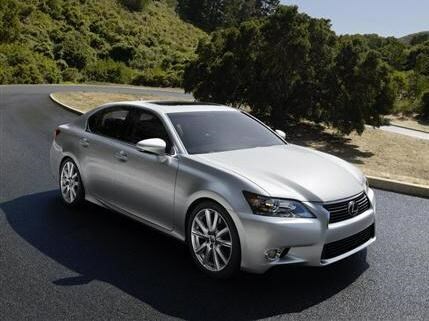 The new Lexus GS will be available in 2012. No pricing has been announced but with the existing GS costing upwards of £44,615, you can expect the new version to start in the region of £45,000.